Our yellow Hard Hat Mad Cap stress ball is working to protect your sales. You can put a custom imprint on a hard hat mad cap stress reliever and hand them out at shows. 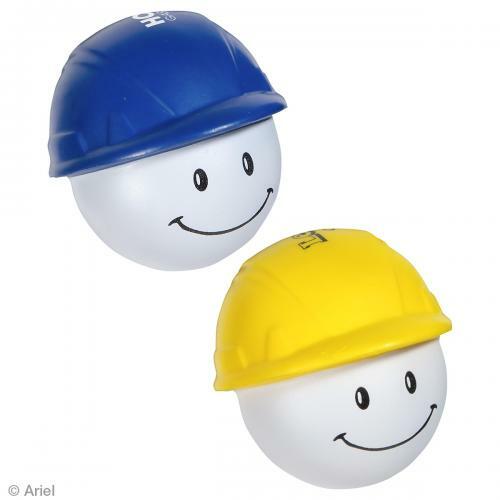 These hard hat mad cap stress balls are great promotions because they are light weight to transport but tough enough to squeeze. Item Size : 2-5/8" x 2-1/4" x 2-3/8"